We did it! We’re so excited to announce that this year we were among the top 5% of wedding industry professionals on Wedding Wire. Thank you to all of the couples that have trusted us with making their wedding day dreams a reality and all of our team members that help make it possible. 2016 was great, but, 2017 will definitely be bigger! Read what everyone is saying about us here! September 18th we had the privilege of working with Shanna and Mike on their big day. Having known them for a few years now, we had all been waiting for this day! When I arrived Polina and Tina were making sure everyone had their game face on and there was hairspray in the air. 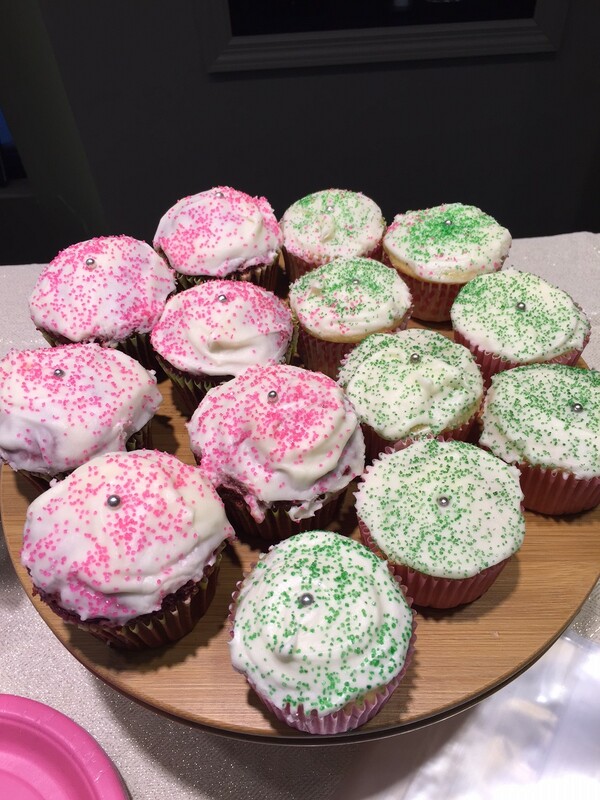 It was great working with the team at 90 State Events! 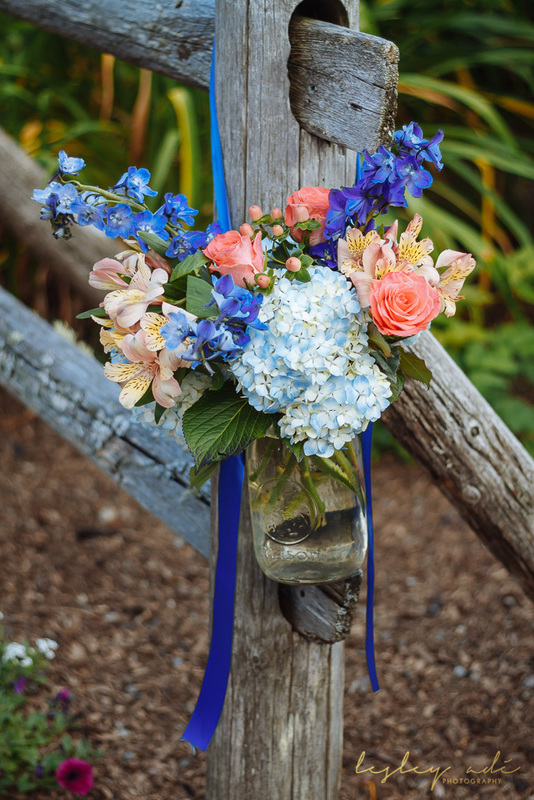 They did an amazing job of pulling off another spectacular event with Fleurtacious Designs bringing some great floral beauty, Jenny C Designs adding some adorable design touches, and DJ Vinny Vin of Nonstop Music keeping the beats going all night. The biggest shout out goes to Mother Nature for bringing the most beautiful weather we could have asked for. Not a cloud was in the sky and it made for some amazing video by, photographs by the one and only, Elario Photography. You can find a sampling of the beautiful photos, here. Congratulations again to an amazing pair of New Yorkers!! This past Thursday, we had the pleasure of working with one of our favorite local organizations, Girls on the Run – Capital Region ! 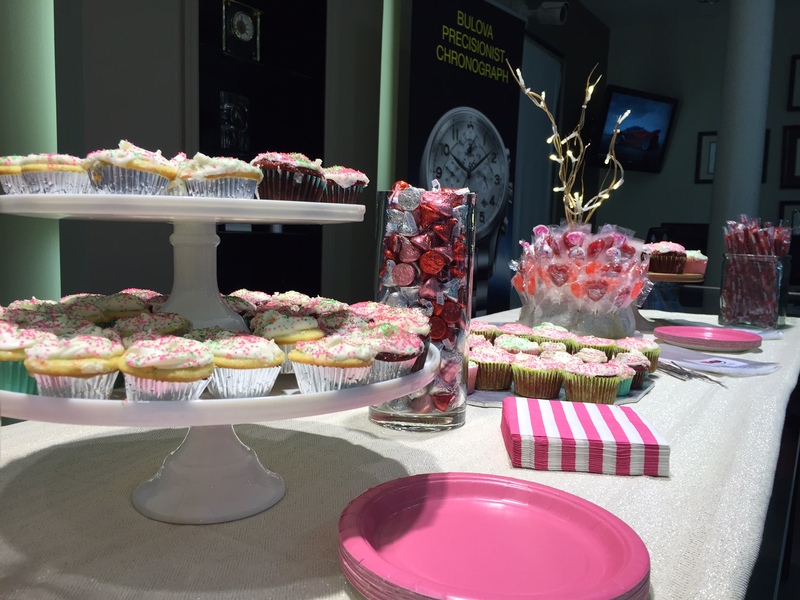 They hosted their 2nd Annual Ready, Set, Bid silent auction at Glennpeter Jewelers Diamond Centre. The night was a HUGE success!! 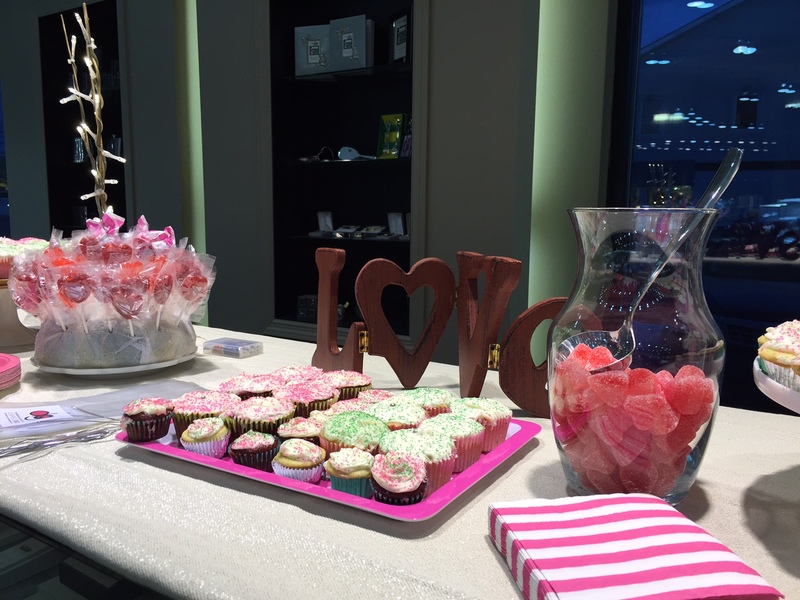 We were so glad to be on hand to add a bit of sweetness to the event. Here are a few photos of the whole set up we put together. Congratulations to Girls on the Run for what they do to support young girls in our community! A tower of mini cupcakes! 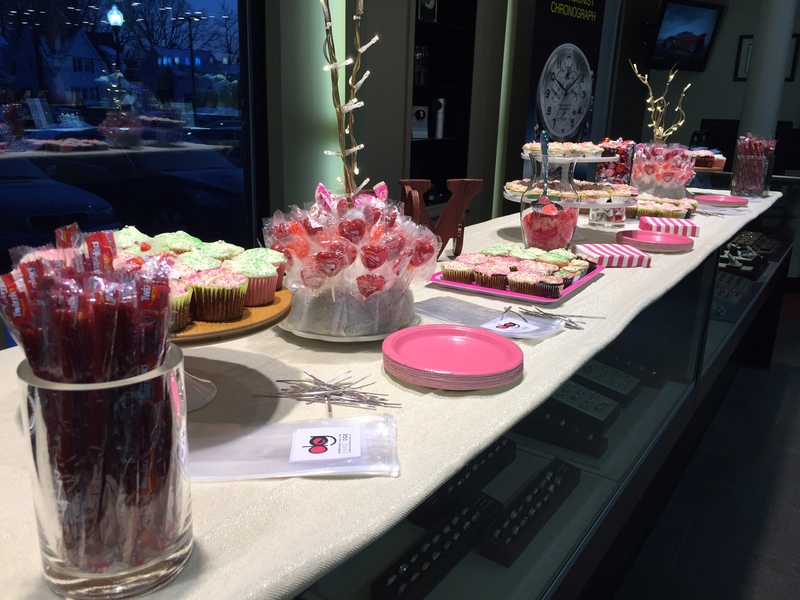 Lollipops, heart shaped candies, and cupcakes were in the line up. 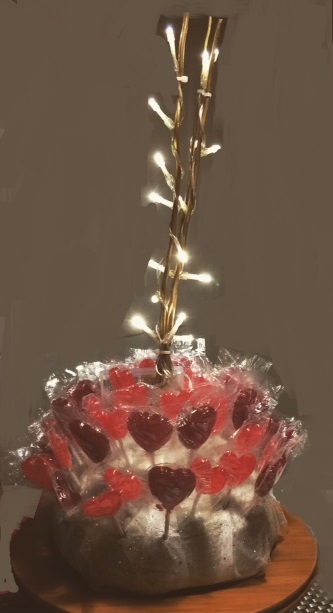 You can never have too many sweets! 7 feet of sugary goodness! And we even brought to-go bags! 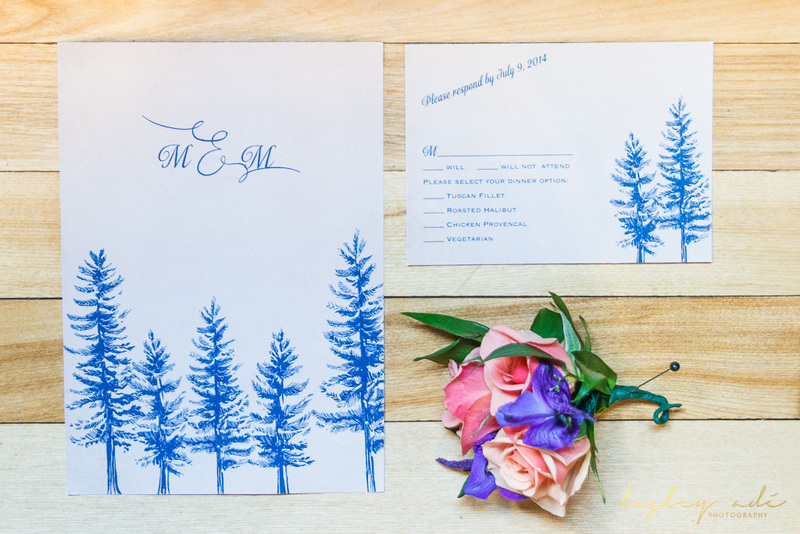 This past Spring we had the pleasure of meeting with a bride for a brain storming session. After a great session and a few months of Pinterest board sharing, our bride and groom had some great details for their big day. A special shout out to Lesley Ade for capturing them! Congrats to our bride and groom on their happily ever after! An invitation to reflect the beautiful wedding location. 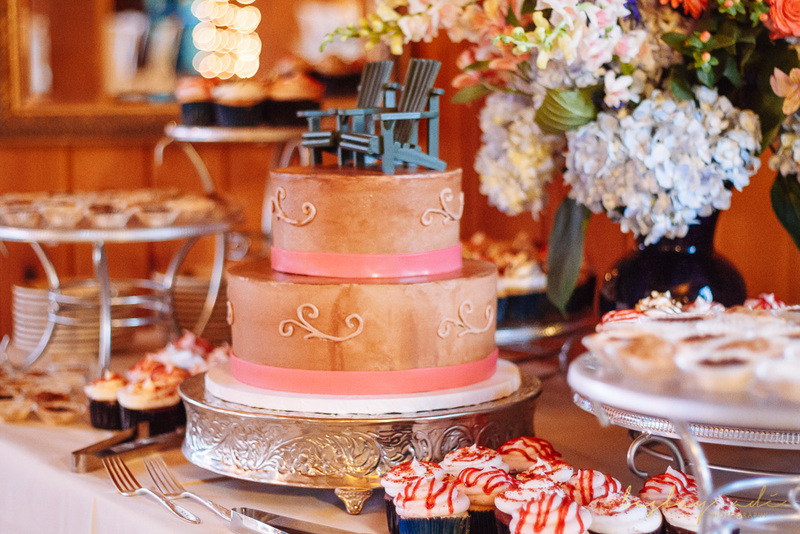 No Adirondack wedding would be complete with out Adirondack chair cake toppers! 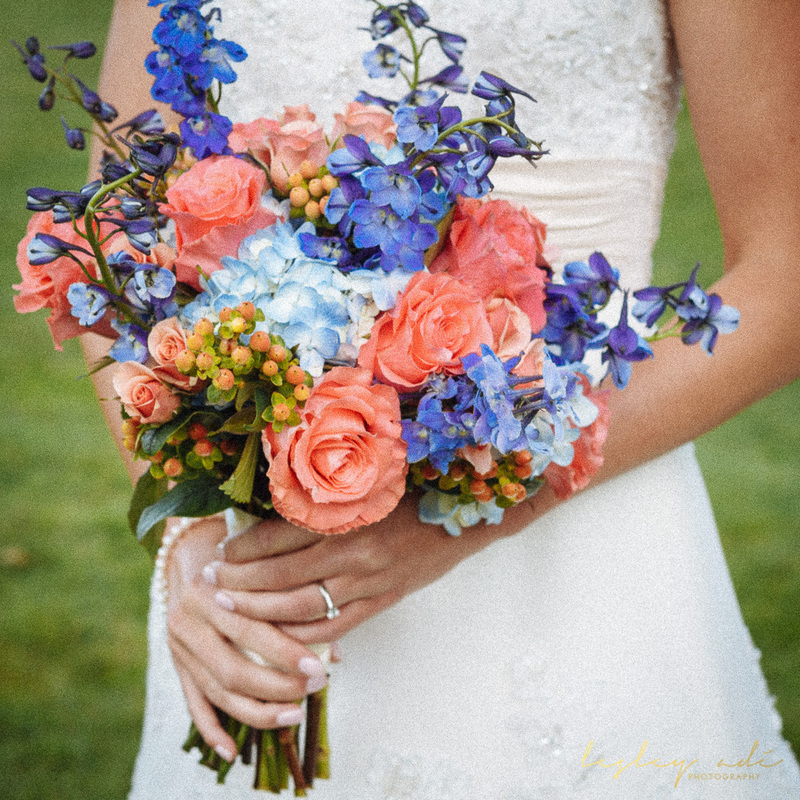 A bridal bouquet inspired by summer and the mountains! 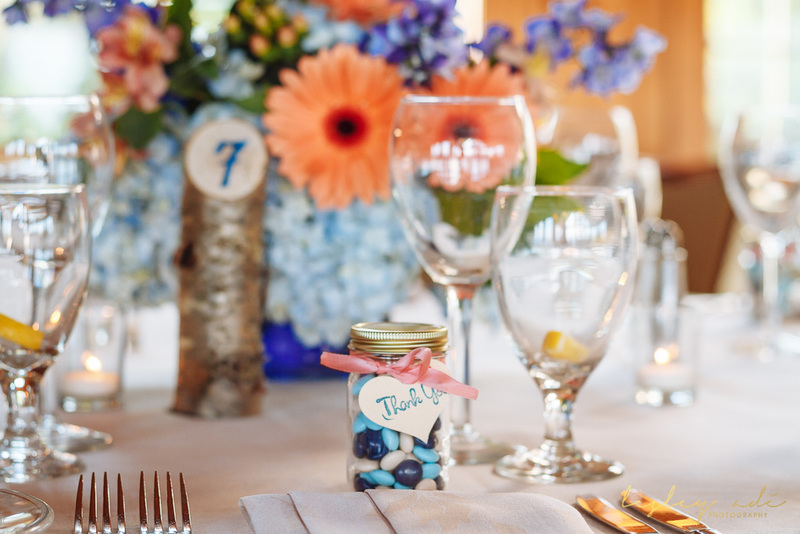 Welcome to Danielle Grasso Events! 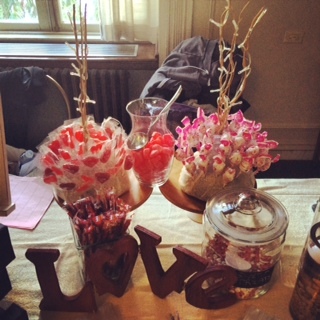 We are a full service wedding and event planning company located in Albany, NY. We serve the Capital Region and beyond. To find out what we do or contact us to help you, please click the links above. Hope to hear from you soon!